The first blog of this series addressed the provenance of the Jäger Report and the question why the document was made available to West German criminal investigators by Soviet authorities only in 1963, almost twenty years after the Soviets had discovered it. The present blog and the following blogs of this series will provide a closer look at some of the massacres mentioned in the Jäger Report. The information presented in these blogs is mostly based on German historian Wolfram Wette’s biography of Karl Jäger (Wolfram Wette, Karl Jäger. Mörder der litauischen Juden, S. Fischer Verlag, Frankfurt am Main 2011, hereinafter "Wette, Jäger"). The mass executions were carried out by shooting in the installations of Fort VII by the city of Kaunas. The weapons used were carbines, machine guns and machine pistols. The shootings were supervised by officers of Einsatzkommando 3. The executors were Lithuanian auxiliaries. I just recall that on the first day of my stay in Kowno I was told that Lithuanian lieutenant Norkus with his detachment had rounded up and shot about 3,000 men – Jews – in Kowno’s Fort VII. Who reported this to me I can no longer tell. I still remember, however, that on the following day I drove to this fort. The Jews who had been shot were still lying in the yard. It was a horrible sight. It looked like they had been fired into at random from the outside. If I remember correctly a smaller building was standing in the middle of the yard, and the corpses were lying around it. I am certain that I was there with my driver; whether another member of my office was present I no longer remember. As it looked at the shooting site there may have been 3,000 persons. If I remember correctly, the shooting had been carried out by Norkus and his people in the evening on the eve of my visit [to the site]. During my visit no Lithuanians were present. After returning to my office I had Norkus come to me and told him that he was to refrain from such independent shootings in the future. In the future he was to contact the head of the Stapo, SS-Hauptsturmführer Schmitt, or Obersturmführer Hamann regarding the execution of any measures, which also meant shootings. Furthermore I told him that he was to take care of burying the Jews previously shot in an orderly manner. This was the first shooting site I had seen. It was so terrible for me that I couldn’t get over it for a long time. A few days later there arrived several high-ranking SS commanders from the RSHA or from Himmler – I no longer remember exactly. If I remember correctly one of them was a doctor. The reason for their coming and their names I no longer remember. I still remember, however, that I described to them the sight of the shooting site with thousands of dead, as well as my shock about it. One of these commanders, as I remember an SS-Oberführer, said to the others, more or less literally: "The man is almost crying, it’s time to bring him to the right place". What he meant by this I don’t know. I no longer remember having said to these commanders that the shootings should stop. I probably didn't do so due to the utterance of that SS-commander, for I had to conclude from it that he as well as the others were in agreement with these shootings. The killings that made such a strong impression on Jäger took place in the first stage Nazi killing operations against Soviet Jewry, in which the victims were predominantly adult males. Creation of the Kaunas Ghetto and the "Action of the Thousand"
One of Jäger’s first official actions consisted in announcing the creation of a Jewish ghetto in the city’s Viljampole district. The order for this had been given the commander of Einsatzgruppe A, SS-Brigadeführer Walther Stahlecker. Until then about 4-5,000 Jews had been living in Viljampole. Another 30,000 from other parts of the city were forced to move there until mid-August 1941. A Jewish survivor, Jehoshua Rosenfeld, described the procedure in a testimony made before the Munich Public Prosecutor's Office in 1959. Excerpts from Rosenfeld’s testimony quoted by Wette (Jäger, pp. 95-96) are translated hereafter. At the latest in early July  the order was issued to wear yellow stars, that Jews were no longer allowed to use sidewalks and public transportation and that they could no longer enter public buildings and other public installations. Soon thereafter, in early or mid July, the Gestapo required the Jewish elders to present themselves in their office. Four or five persons went there, among others Dr. Elkes and Rabbi Snieg, the latter because the Head Rabbi of Kowno, Mr. Shapiro, could excuse himself on grounds of age and infirmity. At this meeting or a later one the order was issued that all Jews were to move to a part of the Viljampole city district until 15.8.1941. Thus four to five weeks were available for resettlement. The resettlement of 30-35,000 Jews in such short time without the necessary means of transportation and without sufficient organization was a general confusion. Especially because the space available in Viljampole was by far not enough. On 15.8.1941 (a Friday) the ghetto was hermetically sealed by barbed wire and guards. On Friday, 15.8.1941, the ghetto had been closed at about 16 hours. Two hours before, around 14 hours, about 30 Jews were still working on the completion of the barbed wire fencing on the side of the ghetto facing Fort IX. When the Lithuanian guards of this barbed wire work detachment reported to the Gestapo that members of this detachment had hoarded food,. the entire detachment of about 30 persons was shot on the spot. One day before, on 14. 8. 1941 (a Thursday), at 6 hours in the morning, German trucks with German SS-men drove into the city and apprehended at random a total of 1,000 Jewish men, who were at first brought to the yellow jail (thus called because it had been painted yellow before the First World War) and in the afternoon of the same day shot in the aforementioned fort. In this operation many of my friends and acquaintances lost their lives, among others Elimelech Kaplan, he was an attorney and first secretary of the Council of Elders, Mula Shapiro (not related to the High Rabbi), an engineer by profession. Further names I don’t remember at this moment. We called this operation the "Action of the Thousand" or the "Thursday Action". Rosenfeld’s description is not entirely accurate in that he mentioned only Jewish men as the victims. Actually 402 of the 1,091 Jews killed in the "Action of the Thousand" were women. The "Action of the Thousand" was also mentioned by Rosa Simon, a German Jewess from Frankfurt, in a report written in 1958 for the Stuttgart Public Prosecutor's Office in the context of investigations in the Jäger case (Wette, Jäger, pp. 98). As a reaction to the act of sabotage claimed in his report Jäger ordered that on the morning of 18 August 1941 500 intelligent and well-dressed Jewish men present themselves at the Viljampole ghetto gate. The "graduates" were made to believe that they would be employed in the town hall archives and the ministries' archives, which were in a deplorable condition. According to the witness David Ben-Dor, cited by Wette (Jäger, pp. 99-100), Jäger had ordered a collaborator, the journalist Josef Kaspi-Serebrowicz, to make a list of the educated Jews – doctors, engineers, teachers, students. Serebrowicz was an anti-Soviet Jewish journalist, who in his press articles had called the Jewish left in Kaunas Stalin's henchmen, been denounced and put into prison by the Soviets. After the Wehrmacht entered Kaunas, he was released from prison. Together with David Ben-Dor's father, Dr. David Haber from Innsbruck, Serebrowicz took part in several meetings with Jäger and other SS officers. The task of making a list of Jewish intellectuals in Kaunas was carried out jointly by Serebrowicz and Haber, who assumed that the men mentioned in their list would be safe because the Germans intended to have them work for the war effort. Haber drafted a memorandum in which he emphasized the achievements of the mentioned persons and their absolute loyalty towards the German authorities, pointing out that many of the listed persons had studied at German Universities and could be relied upon not to betray their "cultural heritage". The 534 persons were taken to Fort VI in Panemuni and shot there the same day. Already on the march there, on the bridge connecting Chanci and Panemuni, they had to raise their hands and keep on marching the remaining kilometers in this way. I know this for sure from the Lithuanian Stepschis, who had served with me in the Lithuanian army and was part of the Lithuanian partisan detachment guarding the ghetto, which whom I as a Jewish ghetto policeman was in close contact. The Lithuanian guards were walking guard outside the barbed wire, the Jewish police walked inside the barbed wire. When I met Stepschis during such walks we talked. Stepschis' report about the fate of the 534 I received on Tuesday, 19.8. in the morning and transmitted to the Jewish Council. This report was furthermore confirmed in early 1944 when a Jewish cleanup detachment working in Fort IV found identification cards and other papers from persons who had been among the 534. These papers were brought to Council of Elders. When in the morning the 534 gathered at the gate I was on duty there as a ghetto policeman. I clearly recognized the following German officials who were at the gate and commanded the operation: SS-Hauptsturmführer Jordan of the City Commissariat, the SS Hauptscharführer Rauca and Stütz of the Gestapo and the head constables Koslowski and Blaszke of the 3rd Police Company as well as the Lithuanian Kaminskas, who had come with Jordan. The number of victims mentioned by Rosenfeld, 534, is lower than the number mentioned in the Jäger Report (711). This suggests that either Rosenfeld didn't count all the persons executed on 18 August 1941 or Jäger included the victims of other executions in his figure for the "Intelligence Action". Update, 23.04.2018: Broken links were repaired, replaced or removed. No massgraves of the Jäger victims? "And did Germania read the part in this thread about the fact that there are no mass graves as alleged? 2 mass graves of 70,000? 4 mass graves of 35,000? 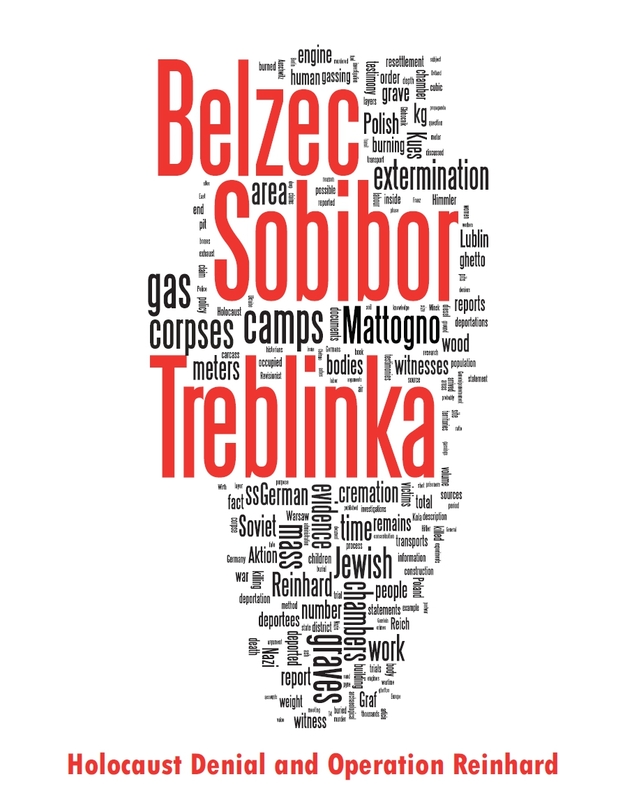 7 mass graves of 20,000? 10 mass graves of 14,000? 14 mass graves of 10,000? 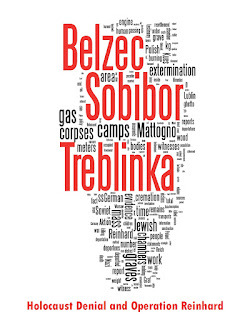 20 mass graves of 7,000? Certainly is a big claim considering that they cannot be shown. Remember, even SS Blobel, who the storyline says was in charge of making the alleged human remains disappear (utterly impossible, BTW), 'confessed' that not all of the alleged graves were attended to. So, even the impossible excuse that the 'Einsatzgruppen hid the evidence' doesn't hold up." - Has the documents authenticity been checked. - Is there any prove for mass graves of that kind. - How do we know the corpses in the massgraves are not the victims of red commissaries?! " What is your answer to this? One can only claim that there are no mass graves if someone looked for and didn't find any mass graves at the appropriate place. Where no one has gone looking for mass graves, it is stupid to yell "no mass graves". As to whether the report's authenticity was checked, see part 1 of the series. What happened to good old "Sailor" Eschen, by the way? Is he still around, or has he beaten the boots already? Thank for the answer Roberto. Well I guess the revisionists' response to this, when you write about these investigations of mass graves would be something like: "How can you know that this is the Jewish victims of the Nazis and not the victims of the Soviets? The Massacre at Katyn the Russians,accused the Nazis have murdering thousands of Poles, but then it came up that it was the Russians who carried out the massacre. How can you be so sure that the same does not apply in these mass graves in Kauen ect,? Perhaps the victims of Soviet terror, but blamed on the Nazis after the event? " What would you answer ? You ought to address in this series, I think. Thanks. Who is "Sailor" Eschen ? «Thank for the answer Roberto. Easy. All known evidence, whether provided by the Soviets or not, including the depositions of Jäger, of other members of Einsatzkommando 3/Einsatzgruppe A and of Jewish survivors before West German criminal justice authorities (and thus outside any possible Soviet influence) points to Nazi and not to Soviet killings. At Katyn, on the other hand, all evidence that the Soviets couldn't control showed that they were the ones who had done the killings. "Sailor" Eschen is, or was, a German "Revisionist" who used to translate Germar Rudolf's writings into English. He was also quite an active poster on CODOH and on the extinct RODOH forum. I see you are desperately yelling for attention after even the CODOH clowns got tired of your antics. If you have anything to say about the subject matter of this blog article, please fire away. Otherwise, bugger off. All future off-topic posts from you will be deleted.